Elysia Crampton is an Aymara-American musician, writer, and abolitionist currently living in Northern California. 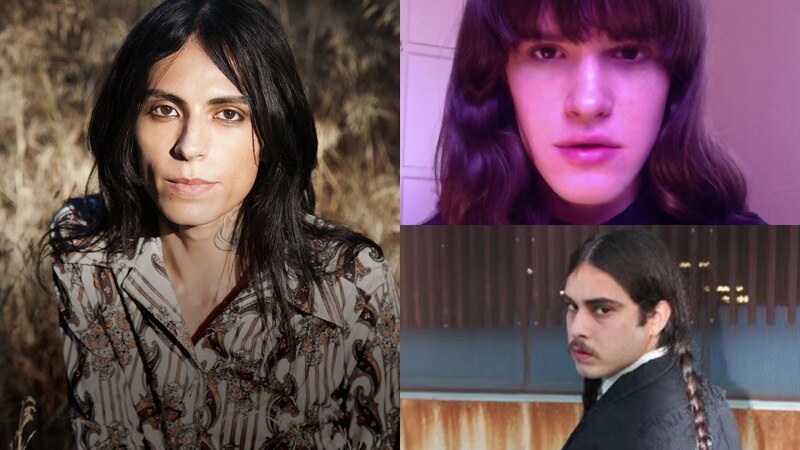 Her latest album, out on Break World Records, works as an epic poem titled "Elysia Crampton presents: Demon City" featuring work by collaborators Why Be, Chino Amobi, Rabit, & Lexxi. Emily Lucid is a San Francisco born and Hawaii raised Jewish trans girl. She is a visual artist and actress currently residing in Los Angeles. Emily's work deals with her interest in gender and beauty through the lens of her own particular, autonomous perspective. Emily has performed in galleries, films and music venues in L.A. and Portland Oregon. Marcel Alcalá (b. 1990 in Santa Ana, CA) creates events and encounters that upend the expectation of art as a discrete work exhibited for a specific period of time. Often collaborating with artists and specialists in fields such as science, literature, film, music, and architecture, Alcala ventures outside of institutional structures to contextualize his work in public space. Alcala’s diverse practice includes performance, live situations, installations, objects, and drawings. He graduated from The School of the Art Institute of Chicago in 2012, and currently lives in Los Angeles. Here, he organizes performance/poetry exhibitions at the McDonalds on Sunset in Silverlake, researches and enacts "Clown" performances around the country, does Improv in real time called CNX2 (Creating New Content Now), and writes poetry on identity politics and the future/status of the "brown" body. Like the socially necessary figure of the clown that fascinates him, Alcala uses humor, play, and the absurd to critique the extremes and everyday banalities of societal power.